Every dad deserves a great pair of boots. This father's day Lugz makes finding the perfect gift easy. These boots can go from work to a night on the town without issue. These shoes are comfortable and surprisingly lightweight. 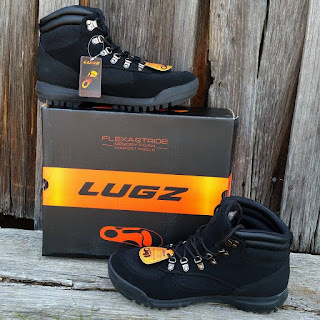 They offer everything my family has come to expect from the LUGZ brand-style, comfort, and support! Functional and fashionable, the Sloan WR will take you where you need to go. This alpine hiker boot features a water-resistant upper, durable metal speed hooks and thick rubber lug sole, along with a padded tongue and collar and Flexastride memory foam insole for maximum comfort. Make sure to check Lugz weekly to see what's new for summer.